Figure 01. Many forms of therapy have been developed to treat a wide array of problems. 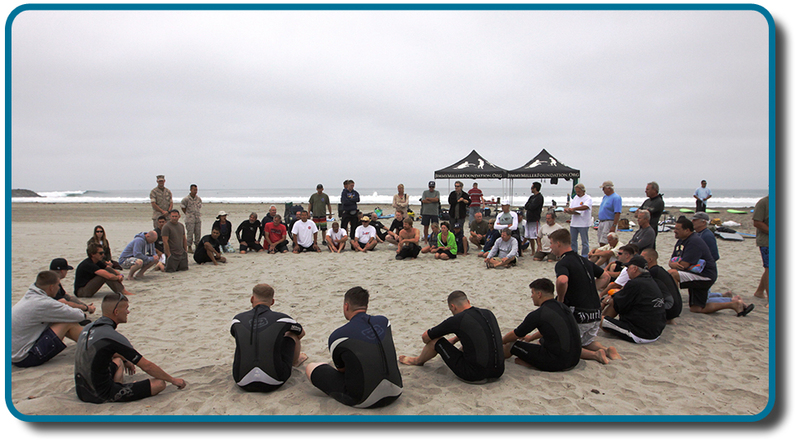 These marines who served in Iraq and Afghanistan, together with community mental health volunteers, are part of the Ocean Therapy program at Camp Pendleton, a program in which learning to surf is combined with group discussions. The program helps vets recover, especially vets who suffer from post-traumatic stress disorder (PTSD). What comes to mind when you think about therapy for psychological problems? You might picture someone lying on a couch talking about his childhood while the therapist sits and takes notes, à la Sigmund Freud. But can you envision a therapy session in which someone is wearing virtual reality headgear to conquer a fear of snakes? In this chapter, you will see that approaches to therapy include both psychological and biological interventions, all with the goal of alleviating distress. Because psychological problems can originate from various sources—biology, genetics, childhood experiences, conditioning, and sociocultural influences—psychologists have developed many different therapeutic techniques and approaches. The Ocean Therapy program shown in Figure uses multiple approaches to support the mental health of veterans in the group.